The ROGERS® TAG21XL 21-ton tag-along trailer is built strong to provide years of reliable service. It features a spacious platform deck that is 8'-6" wide by 22'-0" long, an 8° incline beavertail and 72" long "E-Z Flip" ramps for safe and easy loading and an 80" long drawbar for better weight distribution and superior handling. 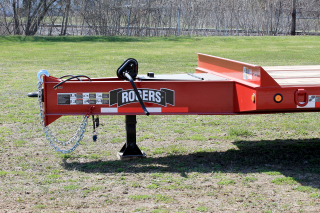 The 80 inch long drawbar provides improved weight distribution and superior handling. 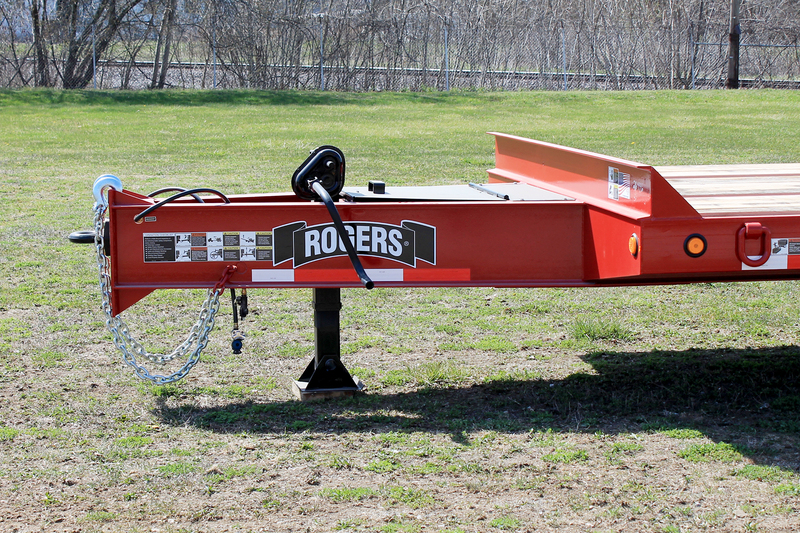 Safety chains are integral to the drawbar frame and are easily adjustable to properly fit the towing vehicle. Two-speed landing gear has a lift capacity of 50,000 lbs. and a static capacity of 70,000 lbs. Toolbox with steel lid provides additional storage for tools, chains, binders, etc. 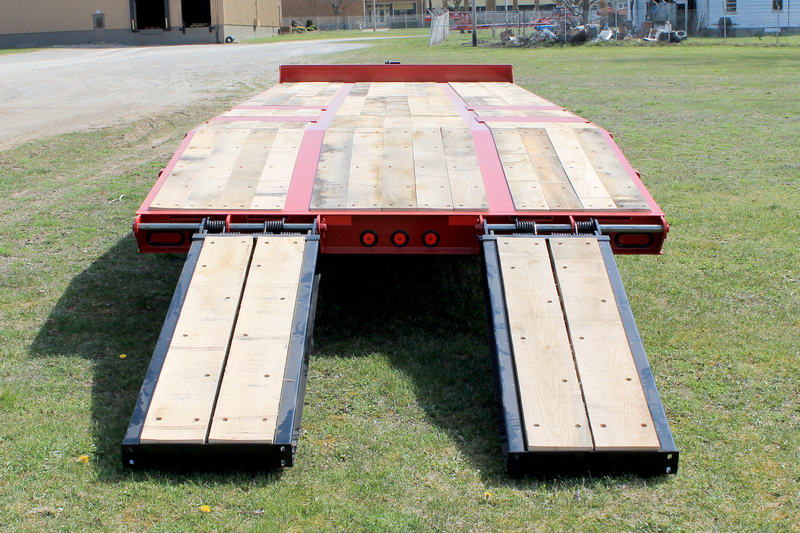 The beavertail of the trailer has an 8 degree incline for easy and safe loading. 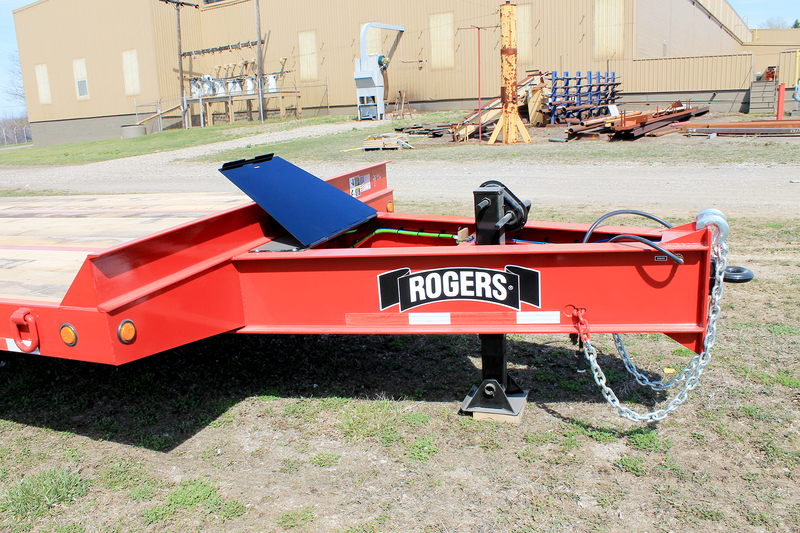 ROGERS E-Z Flip ramps have springs installed to assist lifting the ramps off the trailer deck as well as off the ground. 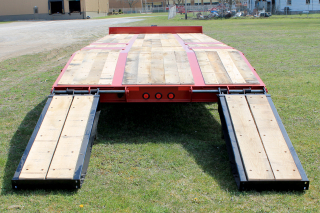 Wood covered loading ramps are 22 inches wide by 72 inches long and are laterally adjustable (shown at widest position). 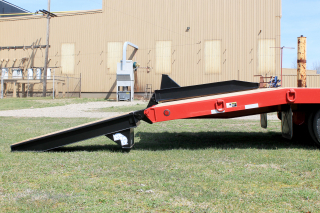 Ladder style ramps are also available. 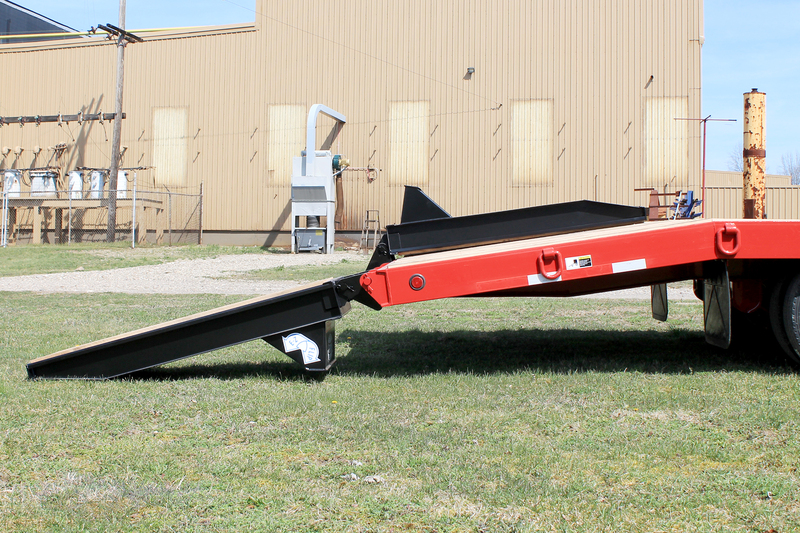 E-Z Flip ramps shown positioned inboard make loading of narrower machines safe and easy.